This wicker rocker is one that my client liked to sit in each morning to enjoy a cup of coffee. 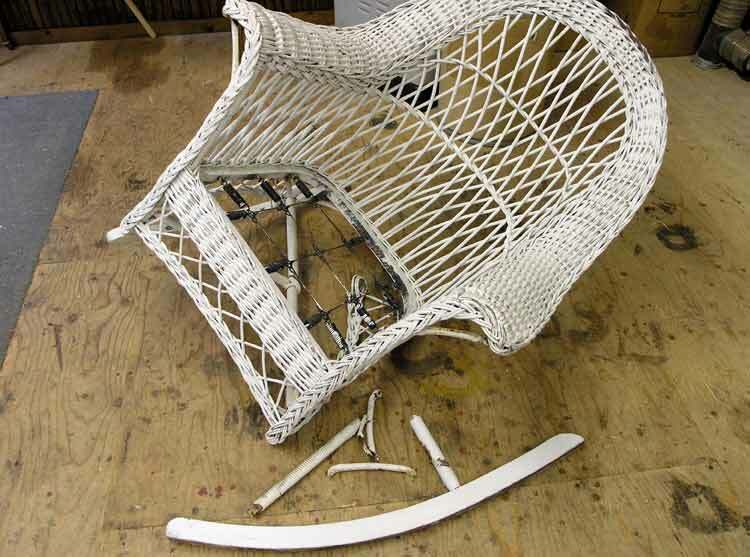 Unfortunately the legs and stretchers broke apart and the chair became unusable. 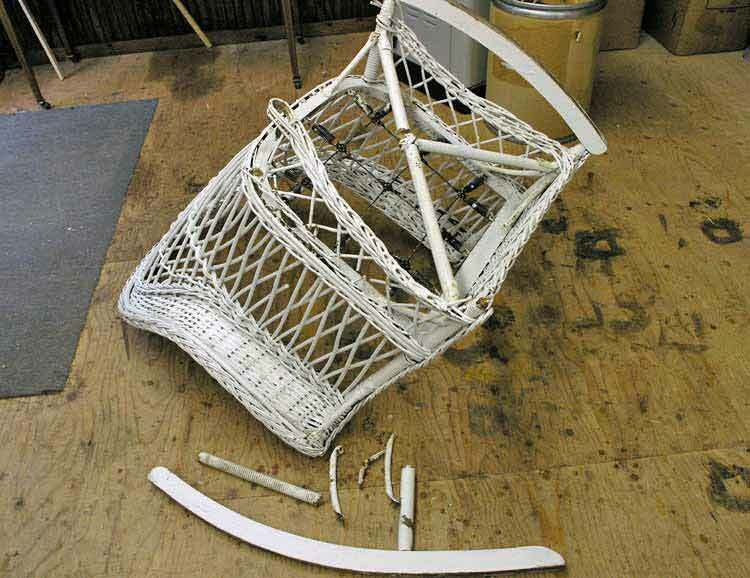 To repair it, I began by drilling out the broken pieces that were still in the frame, and the chair’s rocker. Next, I repaired the legs by drilling into their broken ends, and inserting hardwood dowels so the legs would extend to their original length. The legs were then fitted to the frame and rocker. 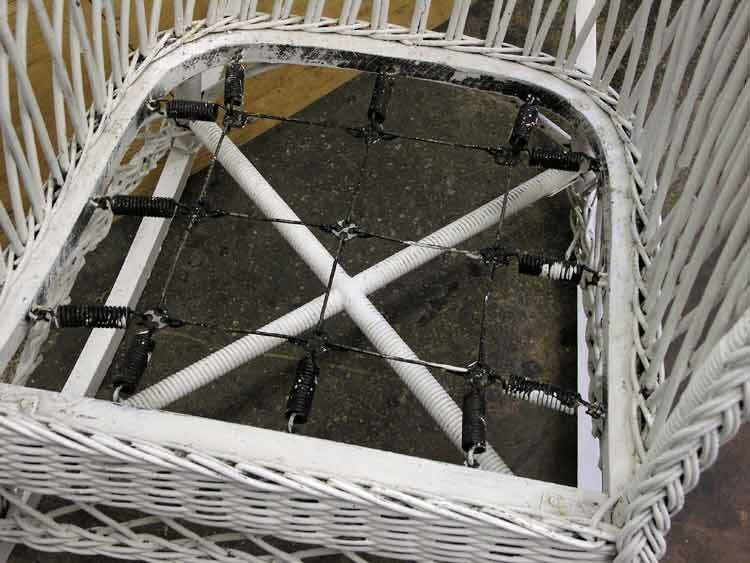 The stretchers on this chair are considered a structural component because they hold the base of the chair together. 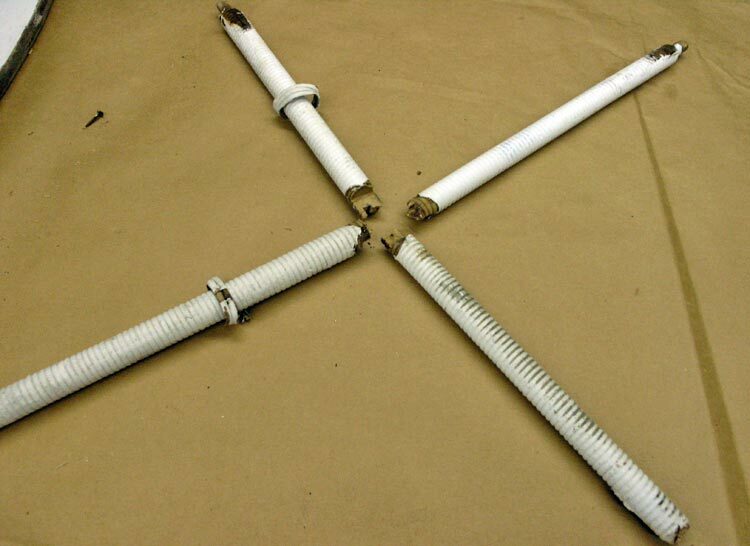 But they snapped off the legs, and were broken where they interlock in the center. Since woven furniture tends to flex a lot more than solid wood furniture, I knew that just gluing the broken stretchers back together would not last. So I repaired the stretchers just like I did the legs – drilled and inserted dowels. The new stretcher ends were fitted to the legs, and the interlocking center joint was made as original. After all the individual parts were repaired, everything was glued and clamped back into position. Other than re-attaching some original angle brackets, no nails or screws were used to repair this chair. To complete the project, a fresh coat of white paint was brushed on to blend in the repairs. 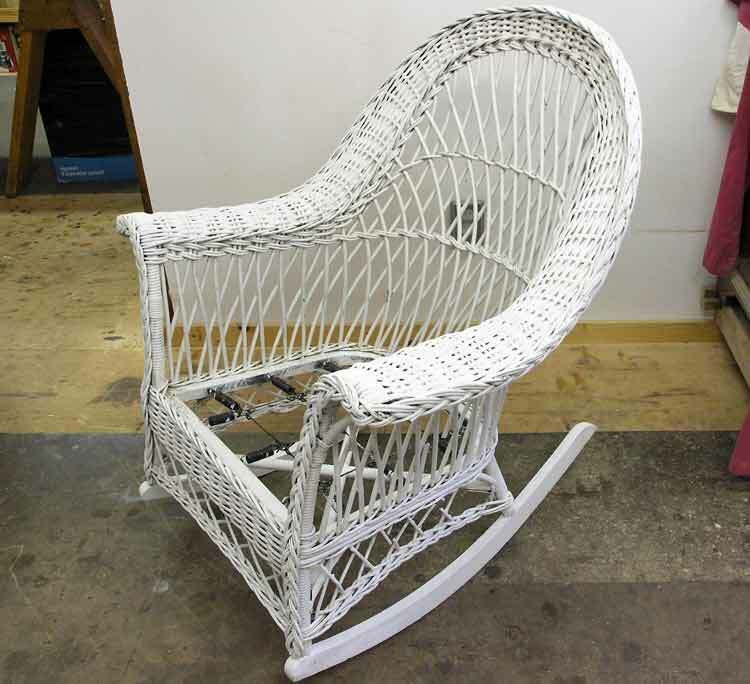 This wicker rocker was repaired for a Hudson NY client.